Mount Rausu is a stratovolcano on the Shiretoko Peninsula on Hokkaidō, Japan. It sits on the border between the towns of Shari and Rausu. 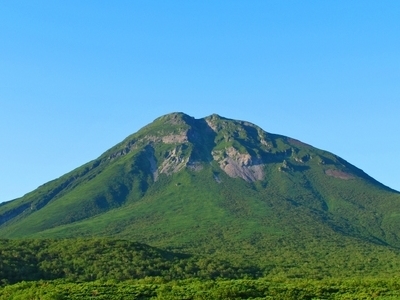 Mount Rausu is the northeastern most Holocene volcano on Hokkaidō.It is one of the 100 famous mountains in Japan.Mount Rausu's opening festival is held annually on July 3. This day officially opens the climbing season. Here's the our members favorite photos of "Volcanoes in Shiretoko National Park". Upload your photo of Mount Rausu!